Sincere Welcome to all. Patricia here (one half of the Administration Team). Please let me take a minute of your time to let you know a little about us. Shirley and I both suffer from an addiction – Family Research! We avoid as much as we can cooking, cleaning, outdoor activities (apart from cemetery walks) as Family Research must come first! We both have husbands, Ron and Frank, who help us in many ways. Ron is a researcher in his own right. Our research has taken us around the world (via the Internet) and we have gained much pleasure from our research. 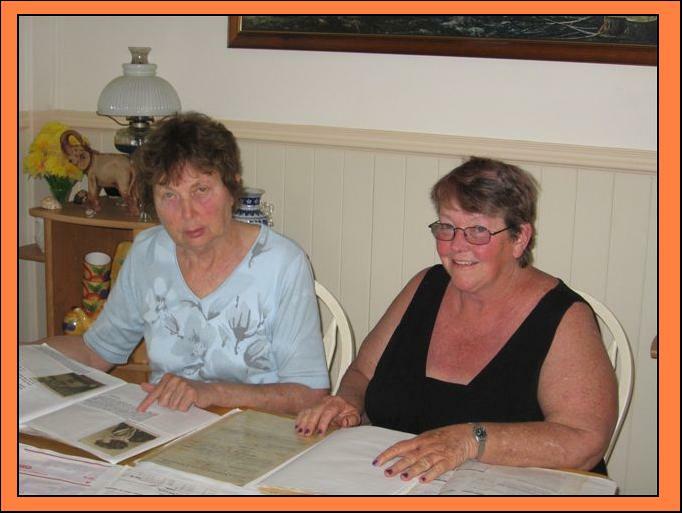 Both Shirley and myself have been actively interested in Genealogy for many years trying to piece together the stories of our families. 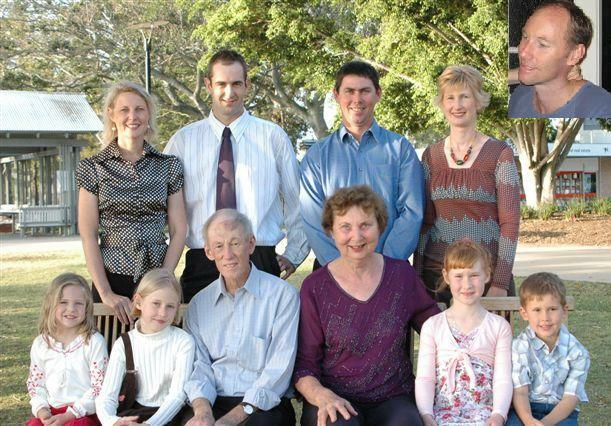 It was our Uncle, Hector Stolz, who encouraged us to join forces, and, in 2006 we commenced a concerted, joint effort to locate all Stolz families here in Australia and those overseas in Germany or another European country or perhaps USA, Canada, South America, South Africa. Who knows where at this stage? We have researched with the aid of computers, LDS films – if only we could read or speak German! We have spent countless hours at the Commonwealth Archives, State Archives, John Oxley Library the Queensland State Library and many Family History Centres and Genealogical Societies, attended Family History Days and browsed through all the stalls to see what is now available to help the researcher. We have tramped through many cemeteries and interviewed relatives, some known to us, others not, even hired the services of a professional researcher in the Czech Republic. All these methods have produced much data and we have some wonderful stories to tell. We have absorbed so much history and knowledge of the culture of the areas researched that this has almost become a story in itself. Our book, when published, will be the result of our findings. However, our ultimate goal, the goal dearest to our hearts, is to find our overseas family – those who remained in Germany or those who left for other shores before or after our Carl Stolz in 1877. Since we started our DNA Project in 2007, our research has definately taken a new direction and made us realize that there are a lot of other factors to consider when searching for lost Relatives. 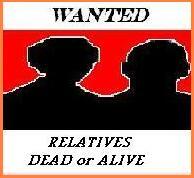 At times we have been desperate for a break through and when we came across this “WANTED” poster at the local markets we decided to adopt it for our Missing Relatives I bet most of you have felt the same way at some time. For keeping track of our FAMILY TREE we have found the free PAF file from the LDS site to be very easy to understand and transfer into GED for lifting to the net. We are also able to section this file into different branches of the family for sharing with other researchers. 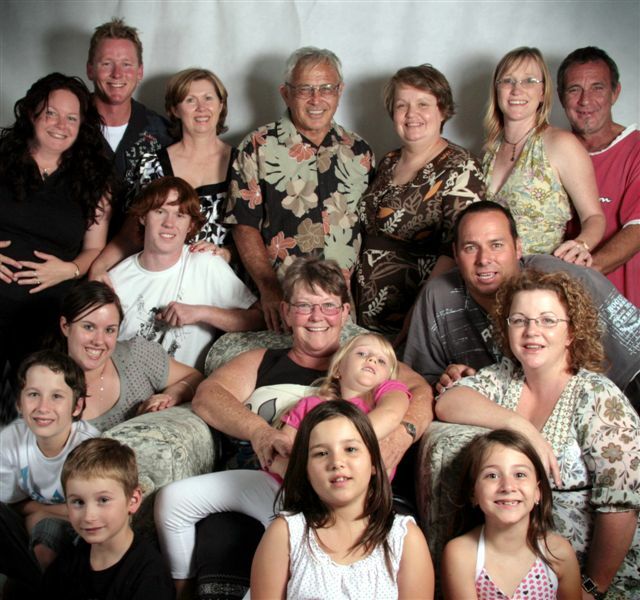 If you have had any interesting or funny adventures while researching your family we would love to hear from you. E-Mail your stories to us and we will include them here for others to enjoy.